Estate planning isn’t just for the wealthy or those who have a large amount of or valuable property to pass on to loved ones. Estate planning is meant to reduce undue stress and costs for close friends and family after death, and should be something taken into consideration regardless of financial status. Here are 3 steps that should be taken to ensure your estate is in order. Make sure your will or trust is updated according to your wishes. It’s important to verify that your possessions and wealth will be transferred to the appropriate recipients, in the appropriate manner. 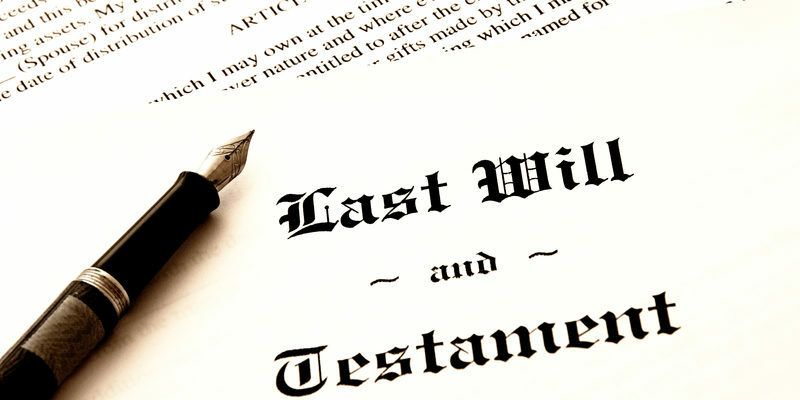 Updating your will is simply done and a well written one helps alleviate stress after a death in the family. It is also prudent to have an estate planning attorney make your changes to your estate plan so that you have confidence your estate plan will be legally valid. 2. Sort out your beneficiary forms. Life insurance, 401K, and IRA accounts are all sources of wealth that can be passed to individual beneficiaries or distributed through your estate plan.. Named beneficiaries will always be considered before your estate plan beneficiaries, therefore it’s best for these documents to be consistent with each as part of a comprehensive estate plan to avoid any unnecessarily confusing situations. 3. Ensure your power of attorney is durable and updated so that a loved one may act on your behalf if you are hospitalized or unable to make decisions for yourself. In many cases, prolonged periods of incapacity during hospitalization require decisions to be made financially and with regard to healthcare that the incapacitated individual will be unable to make. Only with a valid power of attorney may an agent acting on their behalf make those decisions. If you have any questions about estate planning, Appleby Healy Law is more than happy to help. Please give us a call at 417-581-2411 .